CIA Graduate Scholarship Program is open to graduate students who are in their first or second year of graduate studies. All eligible graduate students may apply, and minorities and people with disabilities are particularly encouraged to apply. Applicants must have a GPA of 3.0 or above, attend college full-time, and demonstrate financial need. In addition, they must complete at least one 60 to 90-day work experience in Washington, D.C. at least one year prior to graduation. The scholarship is renewable each year and may be used for tuition, fees, books, and supplies. This is a unique program that not only offers a scholarship but a 60-90 day work commitment, with salary and benefits, at CIA headquarters in Washington, D.C. to be completed prior to graduation. All students who receive scholarships are also required to work at the Agency after graduating from college for a period equal to 1.5 times the length of their college sponsorship. Applicants must pass a medical and psychological exam, a polygraph interview and an extensive background investigation. 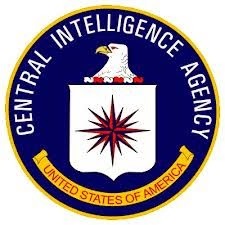 The Central Intelligence Agency (CIA) was formed in 1947 and is responsible for matters relating to national security. The CIA serves as an adviser to the President of the United States on all issues relating to intelligence. The deadline for this scholarship is usually in OCTOBER of each year, and the award amount is usually $18,000.